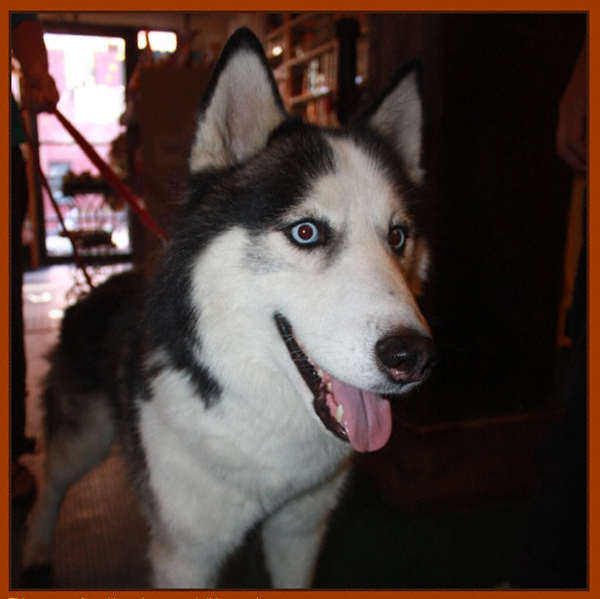 This rather handsome, young and un-altered Husky was found early this morning at McCarren Park. If anyone reading this knows to whom he belongs please contact the folks at Dog Habitat via email at: rescue (at) doghabitat (dot) org. UPDATE, 11:40 a.m.: You can see more photos of this handsome chap by clicking here! UPDATE, August 13, 2011: I have received word this chap has been adopted! that dog is beautiful! hopefully they find a home for it..
As I understand it he is pretty young and we can all see he is quite handsome. I’m certain he’ll find a home pretty quickly! I love huskies! Too bad I can’t take him home with me.